Looking for the best lightweight stroller? Have you ever had to arrange special transport for your toddler while you were traveling to somewhere? If you have, you know very well how difficult it is to find a suitable one. If you are a first-time parent, it is very common to misjudge the comfort level of your kid while traveling. I can understand that such a detailed buying guide and all the information might be hard to digest. Let’s make it easier and get rid of all the confusion. If you are always on the go and are worried about your baby, just buy Joovy Groove Ultralight Lightweight Travel Umbrella Stroller. This is extremely lightweight; only 13.9 pounds. It is even lighter when measured without the accessories. This baby stroller has a fantastic seat that reclines to multiple positions. This reclining seat will comfort your baby while you take him/her out with you. Also, it has a spacious basket. This basket can hold everything that you need for your child while traveling. A canopy comes with the stroller. This helps protect your kid from sunlight. The umbrella fold protects your baby from the rains. You can expect a quality safety standard from the makers. The 5-point harness system will keep your baby safe and on the seat. The lightweight aluminum construction comes with hinges. These don’t pinch you or your toddler when you are walking. You can expect this stroller to support your baby even when his/her is a toddler. 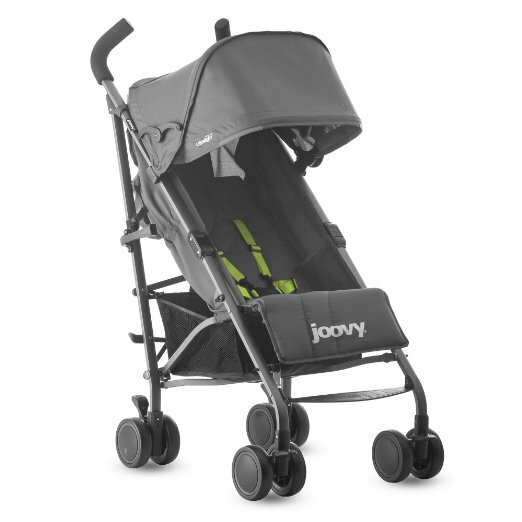 Read more about the Joovy Groove Ultralight Lightweight Travel Umbrella Stroller. 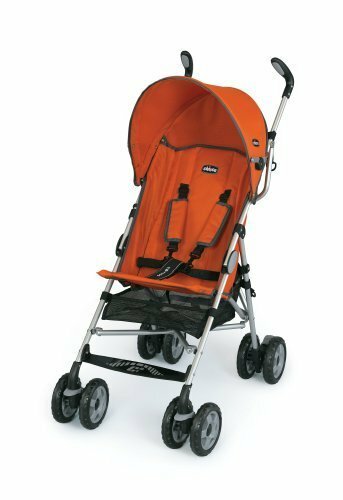 This cheap baby stroller made its way to my list of “quality lightweight stroller” because of its sheer longevity. It can hold a baby up to 40lbs. As parents, you can expect this stroller to be around for years. You can easily fold this baby stroller thanks to the “One Hand Closure” system. The storage latch helps you keep the stroller secured without consuming much space. When we talk about weights, Graco LiteRider Click Connect Stroller weighs only 16.8 lbs. That makes this stroller very light and easy to move around. The seat is a “Two-Level” reclining seat. So, you can easily put your child in the stroller and in a comfortable position. There is a “Parent’s Tray” too. This allows you to keep two cups inside. Also, a huge storage basket is there to keep the essentials by-the-hand when you need. It seamlessly integrates with Graco Click Connect Baby Car seats with just one click. Read Full Review About Graco LiteRider Click Connect Stroller. 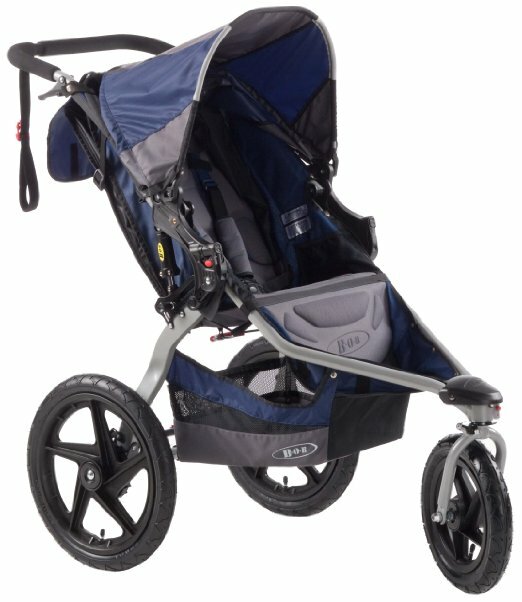 It is one of the front-runners for the title of “superb lightweight stroller” for its aluminum construction and ONLY 11lbs weight! You can effortlessly carry it around without burdening yourselves with an extra bit of weight. Your child can safely travel with you thanks to the 5-point harness that keeps the baby in place. This lightweight baby stroller comes with a 2-point Reclining Seat. The little angel can now just sit back and enjoy the journey with parents. The child support is enhanced by the front suspension next to the wheel. This little improvement won’t let your baby feel a thing on rough terrains. You can fold it in “Umbrella Style” to save space in your car. If you are going on foot, just utilize the shoulder straps to carry it on your back. Of course, you can just put it in a bag (which is included) and put it in the car. Lastly, this cheap budget lightest stroller for babies comes with a basket. You can store your necessary things there. 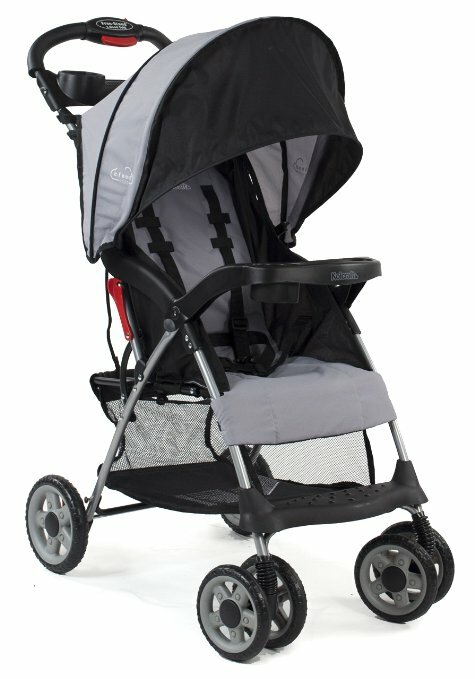 Read full review about Chicco Capri Lightweight Stroller. This is the perfect mobile baby stroller that you can find. Despite being made of steel, it is surprisingly a great stroller. This lightweight stroller weighs under 12 pounds and is very easy to travel with. The seat is awesome with multiple reclining points. These give your child multiple layers of comfort. Whenever we talk about safety, the 5-point restraining system takes the best care of it. The polyester material doesn’t get wet in rainy weather. This stroller is equipped with strong wheels that perform well in all seasons. There is also a front suspension for a bumpy road. It makes sure your precious child always gets a comfortable ride. The canopy can extend to three different levels. This ensures maximum UV protection for your child. Also, it has “One Hand Fold” system that makes folding much easier. Also, there are parent’s and child’s trays. Both have two cup holders each. The “Peek-A-Boo Window” lets your child peek outside his stroller to get a view of the surroundings. It can hold children up to the weight of 50lbs. So, your toddler can use it for two or three years. 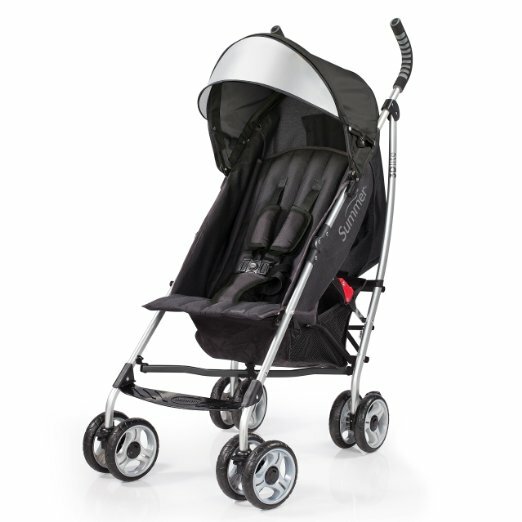 Read more details about the Kolcraft Cloud plus Lightweight Stroller. BOB Revolution is a 3-wheeled stroller, with 2 wheels at the rear and 1 at the front. The single front wheel can swivel so that you can move the stroller in any direction without any friction. Plus, the front wheel can be locked when you’re taking the stroller over rough paths or maybe when you go jogging along with it. The rear wheels have manual brake system. They can be locked with feet. 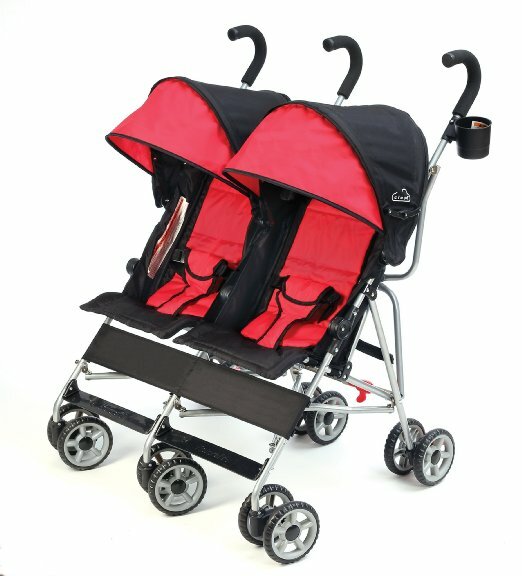 The stroller is designed with an adjustable suspension system consisting of 2 position shock absorbers. This gives your baby a comfy and secure ride. BOB Revolution SE Single Stroller Revolution SE Stroller has a 5-point harness. This allows maximum safety for your young one. And the harness is cushioned with pads, so when you tighten it, your baby would not feel any discomfort. In fact, the whole seat of the stroller is padded for a relaxing ride. And the seat can be tilted 70 degrees. The hood is designed to give your child cover and shade. Along with that, it gives you a window for you to keep an eye on your baby from behind. BOB is made with lightweight aluminum. The whole thing is around 25 pounds only. You can fold it in only two steps. This lightweight infant stroller with an aluminum frame is only 12lbs. This structure makes Summer Infant 3D Stroller robust and resistant to corrosion. It utilizes “3-D Fold system” to save storage space. The carrying straps are there if you want to carry the stroller on your back. This is not your traditional “X-Framed” design. Instead, the design remains open. Open design allows the seat to recline in three different positions. The good thing about this stroller is that the seat becomes nearly flat to comfort the child. Plus, you’ll have the 5-point safety straps that keep your baby safe and sound. As the lightest stroller adjusts to three different positions, so does the harness. You can use this stroller for your child for years to come. Thanks to the shape and adjustment levels. To protect the sensitive skin of your baby from sunlight, there is an adjustable canopy at hand. It even has a sun visor which pops out to protect your child from sunburn, 99% of UVA and UVB rays. Walking with your baby is no longer a troublesome job if you have the convenient, lightweight and easy to operate OXO Tot Cubby Stroller. Cubby is a very simple, practical and stylish stroller that provides your child with a comfortable ride. Cubby features a one-handed opening mechanism that is easy, quick, and struggle free. Its folding mechanism is also a one-handed and quick-release. The folding stroller stands upright with the handlebar. The automatic lock prevents any unusual opening while in store. 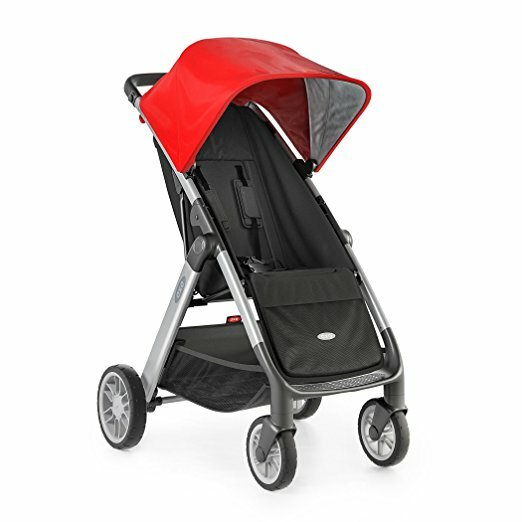 It features an extendable UPF 50 canopy that provides your child an extra coverage and full sun protection. The waterproof canopy gives your child full protection from rain. The Peek-a-boo window allows you to easily check in on your baby without disturbing her/him. Cubby gives you the freedom to load everything in its two back pockets and the underneath basket that you need for a stress-free stroll. Its’ basket is spacious and expandable, easy to reach from the sides and back. The stroller features a “secret parent pocket” that allows you to put your essentials like phones, wallets, keys and more. The lightweight aluminum frame is easy to maneuver. The stroller is furnished with easy-to-clean, breathable and water-resistant fabric. The 5-point safety harness ensures your child’s maximum safety while rolling. The harness is equipped with soft pads that keep your baby comfortable. The Sandal-friendly parking brake allows you to stop the stroller quickly and easily to prevent any accident. Cubby also accepts some selected manufacturers’ infant car seats with the use of adaptors. Mountain Buggy Nano is a perfect choice for a stroller when you are planning to visit a lot of places along with your little one. It is a super toddler lightweight stroller, weighing up to only 13 pounds. It can be folded in just two steps. And after folding in just 2 steps, you can put it in a satchel (which is included in the package) and carry it anywhere you like. In fact, you can even carry it on your back. Buggy Nano a perfect choice when you travel by train, planes and any other vehicle. It also works as a great car seat adapter. So, no matter how you travel, your kids enjoy it. While on the roads, the Nano is excellent at tricky places. Curves can be troublesome, but not anymore. You can simply “pop” the stroller’s front-end up from behind and hop over the curves. 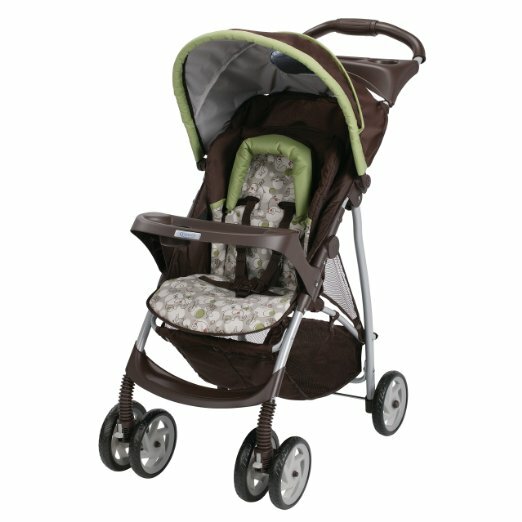 The seat, the canopy, and the leg rest are all adjustable as per your baby’s needs. Check out the full review about Mountain Buggy Nano Stroller. Possibly it is the lightest single stroller available in the market. The ZOE XL1 is a perfect choice for you and your baby. It has 2 wheels at the rear, and 2 double wheels at the front. It is an ideal choice when you are traveling by air, rail or road with your little one. It is only 10 pounds and can be folded quickly with just one hand. This Xtra excellent Lightweight Single Stroller is tested to hold up to 50 pounds weight. The canopy can be adjusted into 4 positions as per your baby’s convenience. It has a Magnetic Peek-a-boo Window, which gives your baby an ample view of the world around him/her. The seat itself can be reclined up to 135 degrees. And to ensure your little one’s safety, it is equipped with a 5-point padded harness. A cup holder for your baby and another for you, snack cup and a padded front belly bar are also included with this cheap lightweight toddler stroller. Kolcraft Cloud Umbrella Stroller is actually a most popular double stroller. Two separate seats are set side by side. It has 6 double wheels altogether. It is called “Umbrella” stroller because it is designed to fold itself like an umbrella. The folding system is simple and quick. And on those umbrella handles, cup holders are attached. The seats can be reclined freely. That means you can recline one of the seats as per your needs if you want. This gives your child ample space to cuddle or just lie around. The two seats can hold up to 35 pounds each. 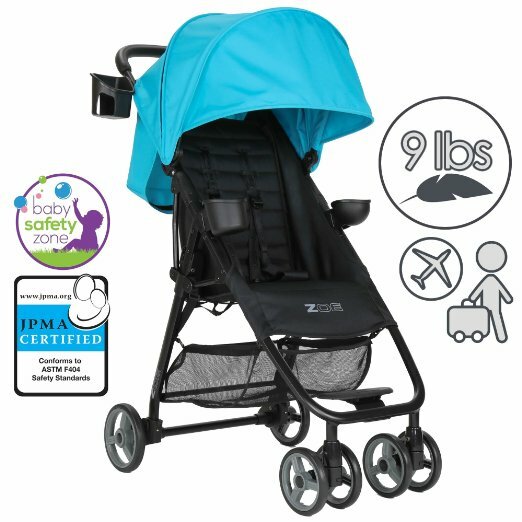 The Kolcraft Cloud is provided with a 3-point harness to keep your baby buckled up while your take them for an enjoyable stroll in the park, zoo or just on the road. What Is A Lightweight Travel Stroller? Lightweight travel strollers are called pushchairs. It’s a baby carrier where the baby sits or lies down as you walk. It helps the baby to stay relaxed and firm comfortably during the time you walk. A lightweight travel stroller can make your life easier. It helps you avoid the odd situation when using public transports or going shopping with the baby. A travel baby stroller can be categorized depending on its features, benefits, weight, price, size and capacity. Every travel stroller comes with different size, quality and features. Some come with the large handles, some come in economic sizes, some come with big storage spaces and some come with braking systems. If you have a baby and you need to bring him/her with you wherever you go, the answer to the question will be YES. Easy to carry the baby no matter where you travel. You can put the baby in a stroller and walk all day without any tension. If you stay outside for a long time, you don’t need to worry about the baby’s health at all. If the baby needs some sleep, he/she can sleep in the pushchair with full comfort while you are walking. When you carry the baby in your arms/lap for a long time, you may feel back pain. Travel stroller helps you get rid of it. If you love to travel around the world, a baby stroller can add spices to it as it helps to keep your baby comfortable and safe all the time. There are two types of baby travel strollers available in the market. As per a survey, the convertible stroller’s demands are increasing every day. Nonconvertible travel stroller –It’s cheap in price and just comes with the feature of folding and unfolding system. It cannot be converted into car seat option as it comes with a fixed position and stroller seat cannot be carried on hand. Convertible travel stroller – This travel stroller can be converted to a car seat as the seats can be removed. Also, its seat can be carried with one hand. Professionals usually recommend this type of lightweight baby strollers because of their extra features, comfort and price. During long walks, your baby may feel uncomfortable because of bumpy roads, hot sun rays and awkward seating position. It may make the journey troublesome for both you and your baby. Want something to solve this problem? A top lightweight stroller can be the perfect alternative to carrying the baby all day and getting tired. In the simplest of terms, super lightest strollers are chairs with wheels that is easy to take with you anywhere you go. You put your babies in these chairs and then push it along while you walk from one place to another. Your kid lies in comfort, you don’t have to bear the hassle of constantly shifting him side to side. It is a win-win situation for all. Why Do You Need A Lightweight Toddler Stroller? I’ve given the first reason already. Good lightest strollers make it easy for you to move your baby around while traveling, shopping or simply visiting a park for recreation. Secondly, lightweight toddler stroller can be much more comfortable than you carry the baby. Very often carrying the baby in arms for long hours can make you susceptible to backaches and shoulder spasms. A toddler lightweight stroller can keep your child comfortable with a padded, reclining and strapped seat. It is more secure than the first option. Thirdly, a lightweight mode can also be a diaper holder, a feeder holder and a storage box for essentials. Not only does it comfort the infant, but it also holds all essentials in an organized way for you to access when needed. Fourthly, carrying your baby in the open might result in sunburns, rashes on the skin and other troubles. On the other hand, excellent lightweight umbrella strollers come with canopies that save children from the harmful rays of the sun. They are adjustable to suit the different needs of a toddler. Lastly, when you are traveling to somewhere far away from your city, take a lightweight stroller which fits very well to your car seats. Your toddler will enjoy the journey as you will. Also, you can take strollers on trains and planes. If the wheels are locked, you don’t need to worry about the baby slipping. Aren’t they enough? What’s else you need?! There are a few differences between travel stroller and umbrella stroller. But the most important one is the handle. An umbrella stroller has a curved handle which is exactly like the umbrella handle. It can be folded vertically. Whereas the travel system stroller handle can only fold horizontally. Another most important difference is that an umbrella stroller is completely unsuitable for a newborn baby as its seats are not flat. Pediatrician suggests keeping a newborn baby flat all the time as their spine and bones are very soft. How to Choose the Best Toddler Lightweight Stroller? Classifying strollers would take pages. 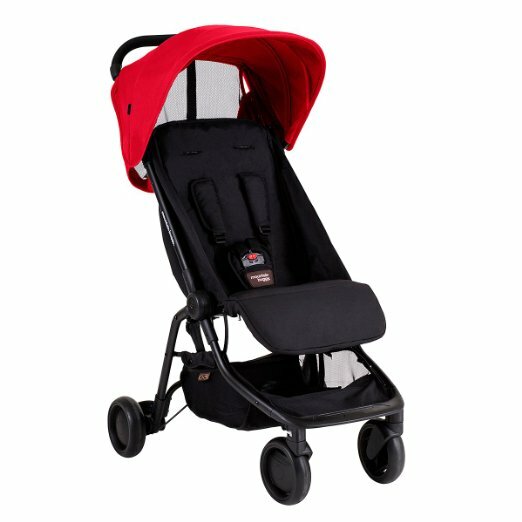 To save you from the boring discussion, I’m going to discuss how to buy a good lightweight stroller as a part of my ultimate guide for parents. Without further gibberish, let’s dive into the topic. Look for a High Handlebar: Get a toddler lightweight umbrella stroller with a high handlebar. Match strollers with your height. Do some test pushes. An appropriate stroller will not make you stoop over when you are pushing it. You should be operating it normally from an upright position. Look for Storage Space: Strollers with storage space are certainly great. Very often parents take babies shopping. It is important that they keep baby’s stash nearby for necessary errands. Storage space under the stroller is certainly a big plus. Space around your handlebar will also do. Don’t put too many things stacked behind the stroller as it may make the things tip over. Consider Your Child Age: A perfect lightest stroller is best suited for a baby older than six months. If your kid is younger than that, please put your baby on any stroller. Do a Safety Check: Check for a safety lock which locks down the wheels of the stroller. Such locks will prevent the strollers from rolling down the road when you are not looking. At the same time, check for safety straps and their durability. Quality harness system can guaranty the well-being of your child inside the stroller. Check the Wheels and Suspension: Wheels are the vital part of a stroller. You should buy the one that has robust wheels. These wheels will last a long time. Also, having front or back suspension near the wheels means your child will be safe even on bumpy roads. Baby’s Comfort Level: It is very important. Carefully check if your baby is comfortable or not. Reclining and padded seats will help the baby feel comfortable. Also, do a rain check on the canopy to see if it blocks sun rays perfectly. A Peek-A-Boo window is always nice. Your toddler can easily look at the outside world through a small window and enjoy the trip. Folding Stroller: It is important that your stroller folds nicely to save space and easily fit at the back of your car or even in a carry bag. Umbrella-Style folding strollers are always good choices just for their folding feature and ultra-light body. Check on the Certification: It is a must for any parent to check if the stroller meats JPMA certification requirements or not. JPMA certifies baby equipment for adherence to safety mechanisms, comfort and hygiene. You can call it the shortcut to evaluating the stroller. There is nothing as important as making sure that your stroller is working properly before you take your little one for a spin. To make sure that the stroller is in a great shape, here is what you should do. Tires are essential for a smooth and regular ride. It is very important that you check them out for any defects to avoid any incident and keep your babies safe. Find out if the pressure is right. Right pressure will ensure that the stroller moves smoothly and leaves you with no strain at all. It will also leave your baby with a bumpy-less ride. This is vital if the baby is still getting a grip on stroller rides. An efficient braking system is equally important. Without the best brakes, your stroller can easily slip from your hands, ram into any object and injure your baby. No parents expect this. Therefore, it is important that you check the brakes and make sure that they are operating efficiently. For the remaining parts including handlebars, wheels and frames, you can have a look to find out if they are all operating well. You can test your stroller in your yard (while empty) to make sure that it’s up to the task. Dress your baby appropriately for the weather and the type of ride. Set your stroller seat in the most comfortable position. Put your baby in the stroller and make sure you secure him/her. Use the harness to secure your baby. Adjust the harness. If you have a leg rest for your older baby raise it to the right height. If your stroller operates perfectly, you can hit the road. Here we are! At the end of the ultimate guide to buying the best lightweight stroller, I must say that the things I mentioned are important and as a parent, you should follow them. The strollers we reviewed in this article are some of the best options available in the market that you can trust for better performance, durability, security and longevity. So, just go ahead and purchase any of them or follow our ultimate buying guide to find the best lightweight stroller for your little one.